I just have to share about some awesome assessment software I have been trying these last few days. It is called ESGI - Educational Software for Guided Instruction. It is a web based assessment program that allows you to quickly and easily asses your children. There are remade assessments already loaded or you can make your own assessments - I have not tried that because the preloaded ones were just what I needed - letter name (capital/lowercase) letter sounds, initial sounds, rhyming, number identification, shapes, patterning, coin identification, cvc words...the list goes on and on! I have been testing for 2 days and I am 3/4 of the way done. What I love about it is that I can even assess on the go! I just take my iPad and we are good to go!! The kids think it is big fun too...especially with the iPad. I can't wait to finish and print out the parent results letters, and even individualized flash cards for each of my students. Our county uses Dibels as our main assessment tool, but I like having this so I know exactly what letters they don't know, not just how many they can name in a minute!! I am excited to use this to help guide and individualize my instruction as much as possible. So, we have made it to 6 minutes for Read to Self which I am super excited about!!! We are so close to me being able to actually pull a short 10 minute small group!!! They get so excited when I color in their stamina graph. I had a good giggle to myself today when I had some kids model the wrong way to Read to Self. This one little girl was having a hard time working the whole time and was spending a lot of time looking everywhere but her book...so I immediately rang my chimes and brought everyone back to the carpet. I asked this same little girl, who by the way is probably the quietest kid I have, to model Read to Self the wrong way. I was a little unsure if she would really get into it and do the "wrong" thing.... but she SOOOOOO did! It was so cute. She totally copied the way I did it when I introduced Read to Self. I sometimes forget that some of my kids actually pay attention and remember what we talk about!! I was thinking the same thing today. I rearrange my room at least 3 times a year. I'm going in tomorrow to start oreliminary room changes. Did you buy ESGI or get the trial offer? Good luck with your room S. Parker!! I got the ESGI free trial offer!! Will decide down the road if I am going to purchase! I change my room all of the time, too. I would be interested in seeing what you do with DIBELS items. Our district uses DIBELS and DRA for reading. I just got 2 ipads for my classroom and will have to try out the letter testing with the students because they would think it would be great to be tested at the drinking fountain area. I just created some new things for homework for my students to use to help the DIBELS items through November. I also plan on putting these on my SMARTBoard. I will have to research the ESGI. Thanks for sharing. Thanks for sharing about your Daily 5 success and your signs. I am determined to start it this year. What do yo have them read this early in the year(today was our first day)? I guess they are all reading the pictures. Thanks also for sharing your signs. They are really cute. OMG! I am a chronic re-arranger too! I am also looking into ESGI, as I received an email from Roxanne. We don't start school until Sept. 8th, so I have no real kiddos to work with yet--but I did download the class management tool, and it looks like it will be helpful. I am a chronic room rearranger too! My kiddos get used to it after awhile! Our Kindergarten team has been using ESGI for 3 years and absolutely love it!! We have created all of our own assessments to match the ones our district mandates. We get everything done so quickly & have real results to guide our teaching. I love to rearrange my room! Before we leave at the end of the school year, we are supposed to draw a map for our janitors. I never do because I know I won't even know where I want things for a new year until I get back. Sometimes, when I see my teammate's room done in half the time, I wonder why I do it! Then I change it probably halfway through the year. I live an hour away so I can't usually stay to do a total rearrange very often! I LOVE-LOVE-LOVE your Read to Self chart, will you be mking these for the other D5 components? P.S. I rearrange all the time too! THANK YOU for the chart! I am starting Daily 5 activities next week and this will be very helpful! You are not alone-- I am also a chronic mover of furniture, at school and home. Traffic patterns are critical and they change with each new group of children, or growth spurts of children! You go, girl!! THANK YOU THANK YOU THANK YOU for posting your first Daily 5 Chart! I can't wait until you post the other ones! May I ask what a stamina graph looks like? We are starting Read to Self this week with my Kinders and I would love to see what a stamina graph looks like to perhaps incorporate it into my classroom. acg8305@gmail.com. Thank you soooo much!!! You have such a cute blog and classroom. I teach 4th grade and I love all your cute ideas. Hi, My name is Jeannie, and I am a chronic classroom rearranger. (are we all sitting in a circle and saying "hi Jeannie" back?) LOL.... I have been constantly "teased" about my little habit of changing my furniture around, tearing down BB that haven't even been up for a day. My poor kinders, they never know what they are going to walk in to from day to day. At least we keep our classroom's exciting! 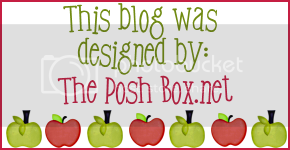 By the way, I LOVE your blog!!! I was wondering if you have the daily 5 charts w/o the clipart that you could email to me? I LOVE the clipart, but I teach 5th grade and they....well....let's just say don't 'love' it the way I do! :) I am challenged with creating on the computer, otherwise I'd whip it up!! Also, where did you get the adorable polka dot paper you used for your clip behavior chart? Thanks SO much, love your blog. I love to rearrange, however I work in a room of students with special needs and they freak out! Plus one of my paraeducators HATES to change things, so I have learned to change my area and not the whole room. Love Daily 5!!! And here's how much I appreciate all the teachers in my building who teach the lower grades. I am teaching 4th grade this year for the first time, I am amazed by them! Yesterday was our 2nd day of school and we started Read to Self. They read for 20 minutes, with about 1 minute of instruction before. I had to interrupt them to move on... the absolute least favorite part of the day for me, stopping read to self. It was wonderful watching them. So, 6 minutes for kinders is fantastic!! I've read that providing children with a rearranged classroom ehances their attention. When they are comfortable they pay less attention. So if this is true then your room rearranging is the best thing for your kids. Hey! My kids love Math Binder and the behavior chart. I ordered mine, b/c school started August 17th.. Thanks for all you do! I, too am a cronic room rearranger!!! Thanks for letting me know that I'm not alone!!!LOL!!! I rearrange my room a lot too! It's hard to tell at the beginning of the year when you are setting up how things will work until you have 22-25 little bodies in there. Even if I don't rearrange the large furniture, I do make small changes often. I realize that something is not working so I try and come up with a way that could.